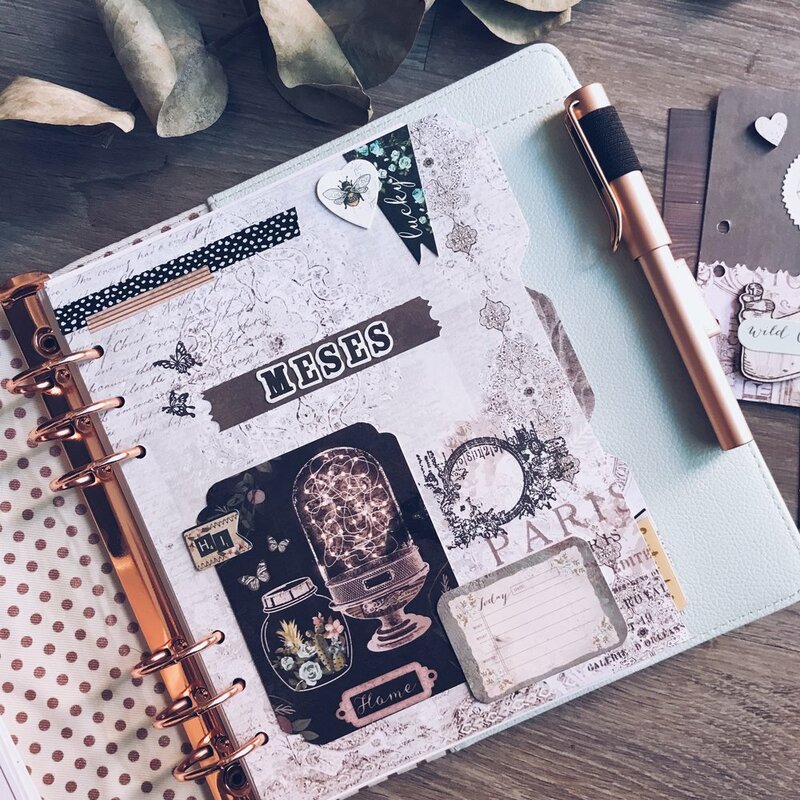 Ines is using her Frank Garcia planner as her Study Planner and used the District Sauvage collection to make the inserts. Ines used many layers in her dashboards to give it the unique look of The Flower Journal. Ines used different journaling cards on top of her dashboards paper as well as washi tape and stickers to personalize it to her taste. She plans to use this planner as her study planner and will work perfectly to keep all her school work organized. To see more inspirational projects and pictures by Ines make sure to follow her on her Instagram and youtube account @the_flower_journal.